With just three more weeks till Halloween, many people are already busy gathering hordes of candy as well as accessories and gear for costumes. 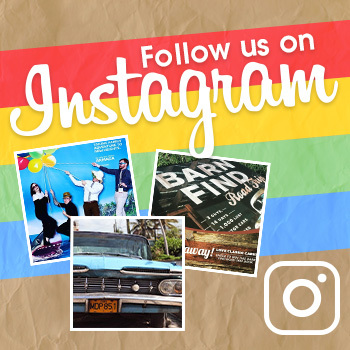 While decorating your house and your person for the holiday, don’t forget to decorate your vehicle! 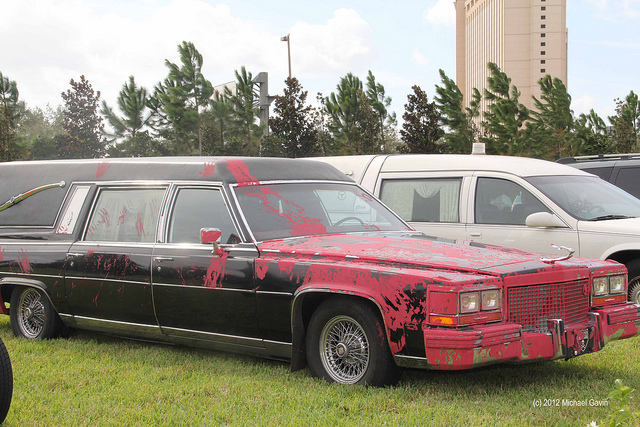 We’ve gathered some ghoulish ways to dress your vehicle in haunt-worthy holiday attire. 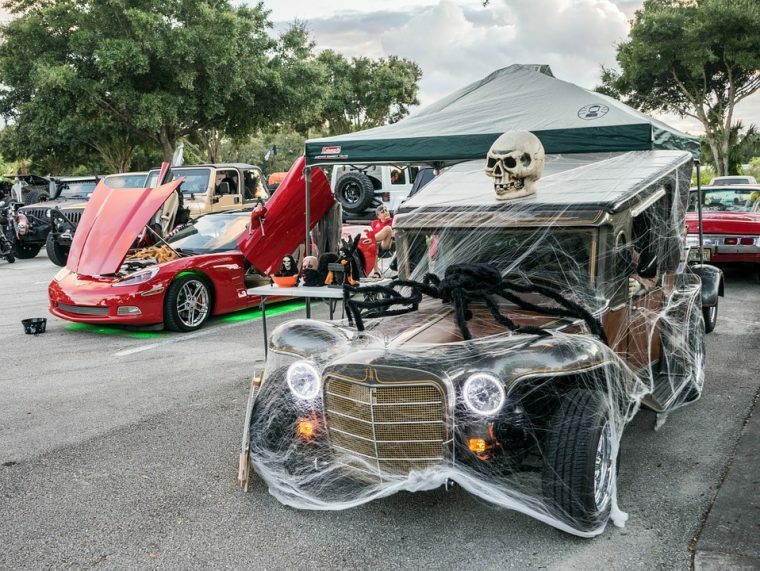 Ranging from semi-spooky to freakishly-fantastic, these decorations for your car are sure to spread the spooky spirit this season. 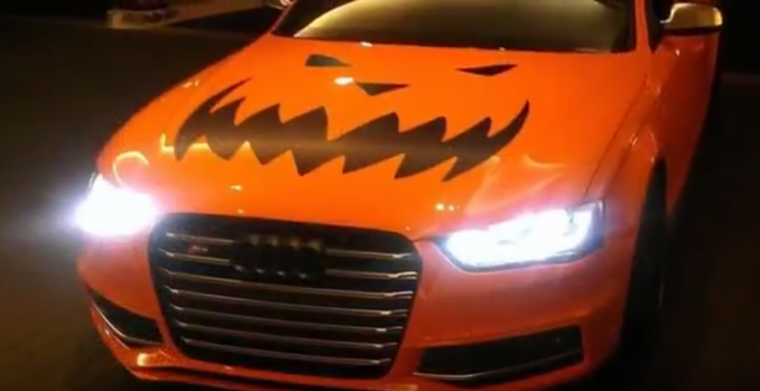 A jack-o’-lantern decal for the hood poses a menacing smile against the fiery pumpkin hue of this ride. 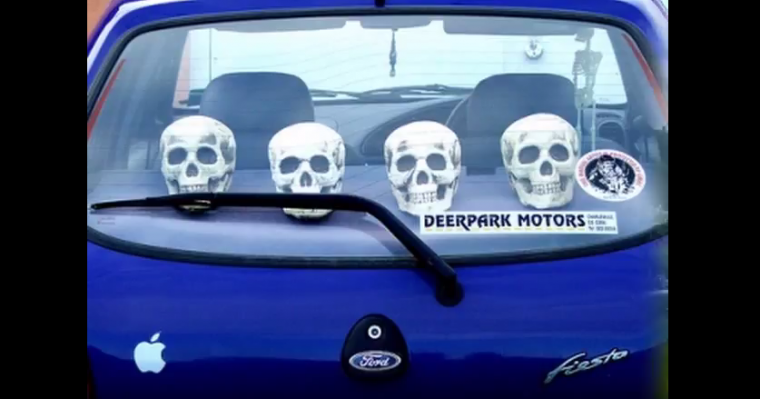 Skeletons never fail to lend a phantom-like appeal to your vehicle. 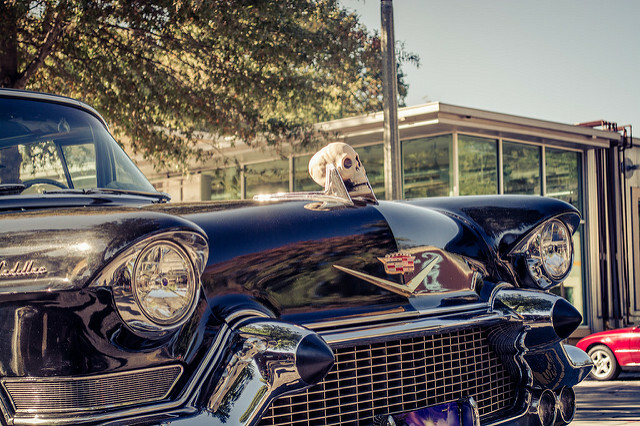 Whether it’s in the form of a skeleton poised in the driver’s seat, or arranging skulls in the rear window of your car or on the front bumper of your Cadillac. An easy way to shroud your car in mystery is to cover it in spine-chilling spider webs. 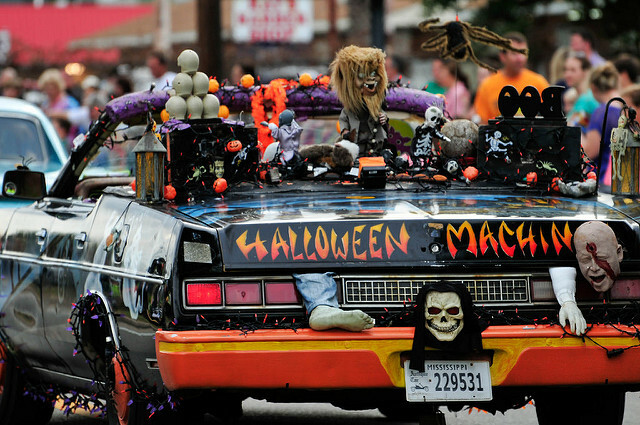 Add a large arachnid decoration on the hood to enhance the eeriness. 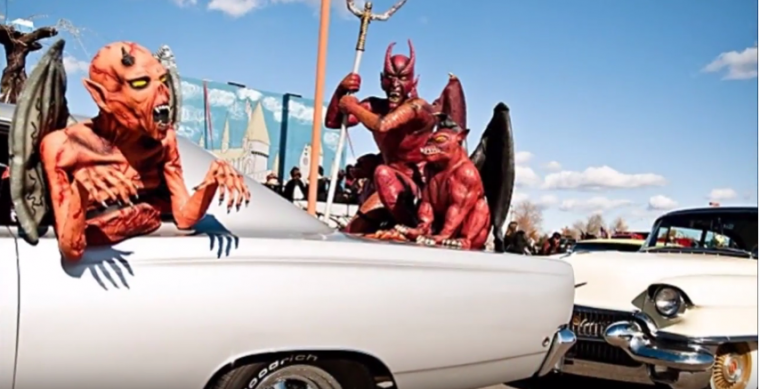 Nothing shouts Halloween like dressing up your car with some grotesque gargoyles and/or demons, whether they’re riding in the backseat or perched on the tail of your vehicle. 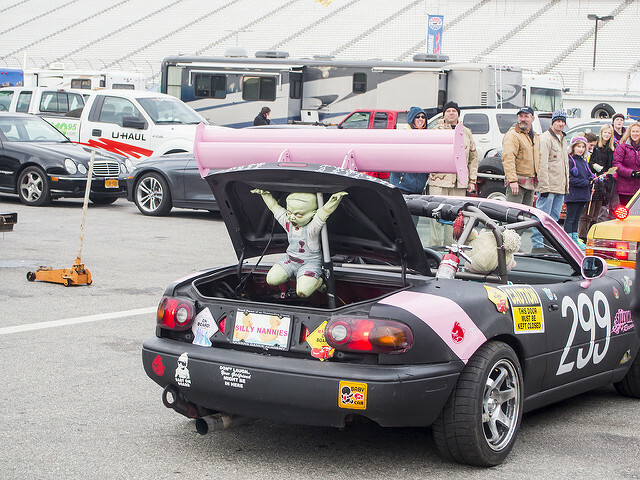 A creepy doll in the trunk makes a spooktacular decoration. Make sure to look for a green one with glowing eyes like this one, for a freaky, Frankinstein vibe. Splatter your car with red paint by using a paintbrush and your hand for a grisly effect. 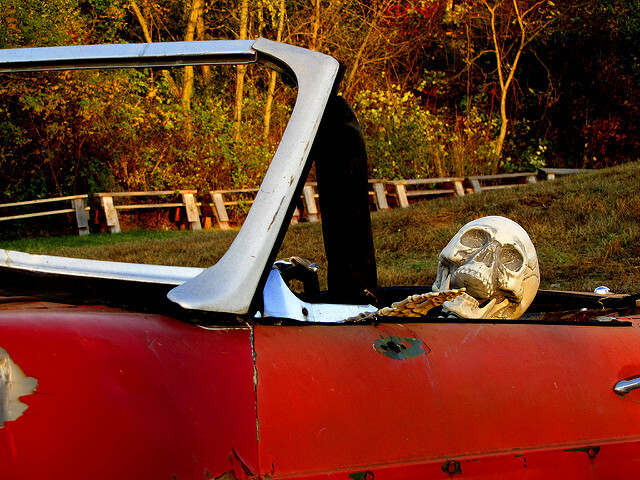 Scour your basement, garage, or local thrift store for a variety of Halloween-inspired objects to bedeck your car. String lights, fake limbs, and creepy figures are just the starting point for this terrifically tacky look.